The DAM Series GN ESP gooseneck modules for fixed and mobile installation features a programmable mute switch that can be set to various functions, e.g. on/off, push-to-talk or push-to-mute. Together with the clearly visible LED ring for MIC ON/OFF indication, the GN ESP modules can serve perfectly as a small-discussion system. 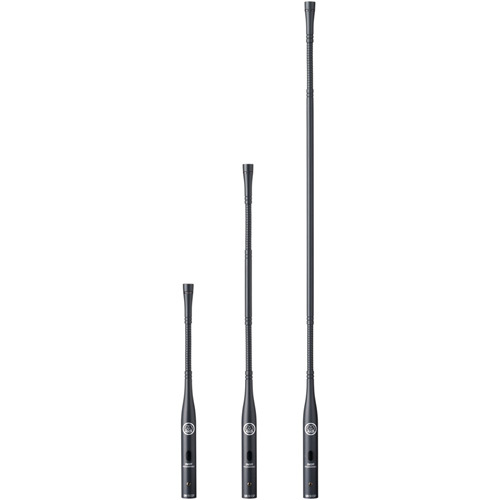 The GN ESP gooseneck modules are available in three different lengths: 15cm (6in); 30cm (12in) and 50cm (20in). The electronic circuit design provides high immunity to radio-frequency interference. The gooseneck module fits all DAM Series capsules, CK31, CK32, CK33, CK47 and CK80, via highly reliable contacts.